​ ​​​​AUSTIN – A rendering of what the future 11-acre pond could look like at Parmer Innovation Center in Northeast Austin. A four-story, 116,000-sf spec-office space in the 300-acre Parmer Innovation Center at 319 E Parmer Ln. should be completed in August 2018. In addition, Karlin Real Estate will pay $10.85 million as the winning bidder on the IO at Tech Ridge property—located at 12600 McAllen Pass. 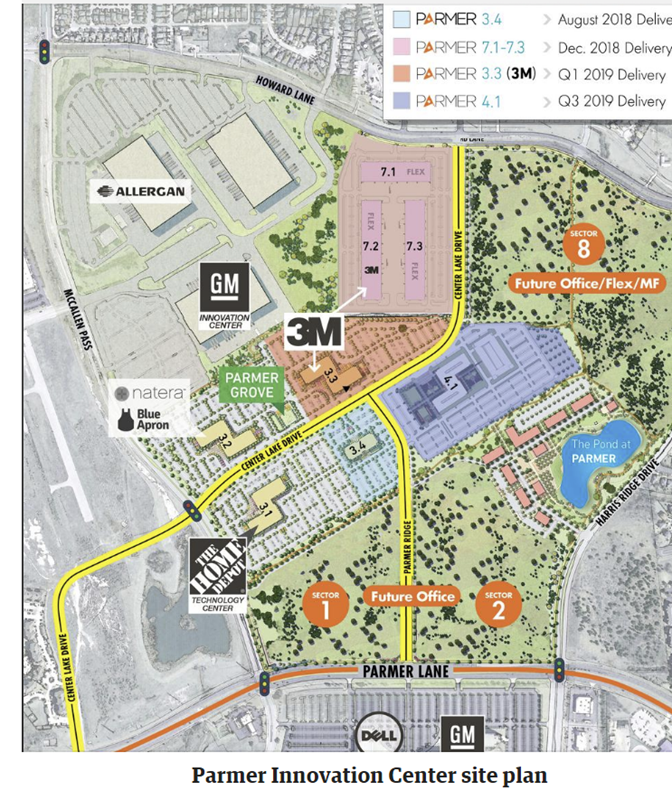 3M will also be moving 500 employees to new a building being constructed at the Parmer Innovation Center. The maker of Scotch tape leased about 300,000 sf across two buildings. ​The company is negotiating with Karlin another approximately 40,000 sf in the complex.